Rangers will get 4,000 tickets on the final day of the season after their allocation was halved by Kilmarnock. The Ibrox club are usually given the Moffat and Chadwick stands at Rugby Park. But they will now be housed solely in the Chadwick Stand for the league meeting on 19 May. "As we continue our 150th anniversary, we want to turn our final match of the season into a celebration of all things Killie," a club statement said. "With this in mind, we as a board of directors have made the decision to house Rangers supporters solely in the Chadwick Stand with Kilmarnock supporters in the remaining three stands." Kilmarnock sit third and are just a point shy of their club record 59-point total from last season. 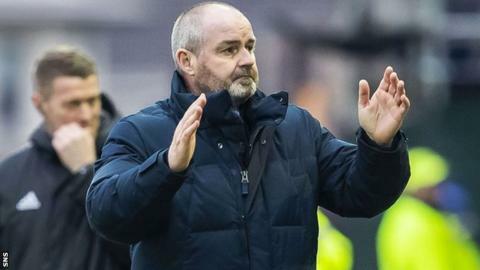 Rangers are eight points above Steve Clarke's side and 11 adrift of Celtic with five matches left.